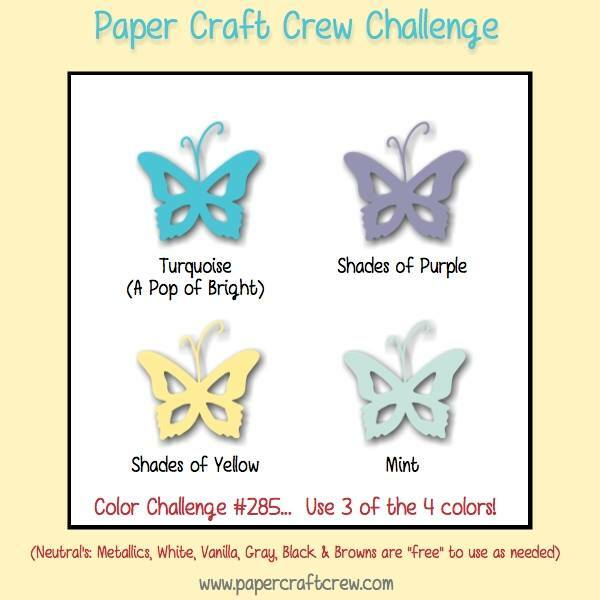 Tina's Crop Shop: PCC285 Color Challenge - Coffee Because Adulting is Hard! 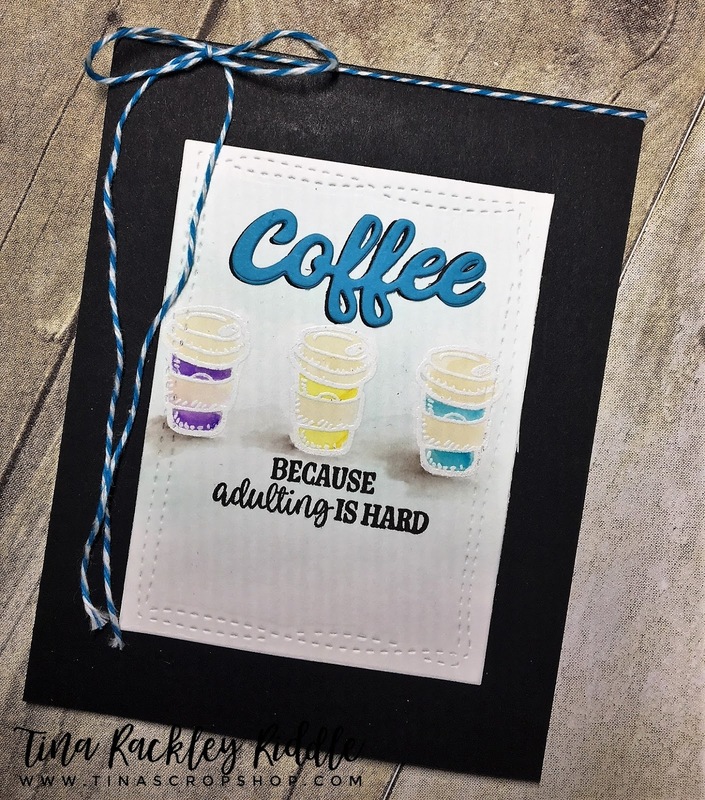 PCC285 Color Challenge - Coffee Because Adulting is Hard! I've had a heck of a couple of days at work. Today I was finally introduced to my new boss and 5 co-workers were fired all in the same day. I really didn't have a lot of inspiration tonight to make a card for my Design Team project for Paper Craft Crew but somehow I pulled it together.. 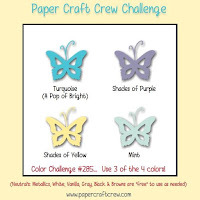 Here are the colors for the challenge. You can pick 3 of these if you'd like to enter this week! So my inspiration came from what else.. coffee! I love coffee and today adulating really did seem hard so this is what I came up with. The water coloring was done with Distress Inks at first.. Mustard Seed, Peacock Feathers and Dusty Concord. I made the shadows with Zig Clean Color Markers and then darkened up the purple and turquoise with them as well.